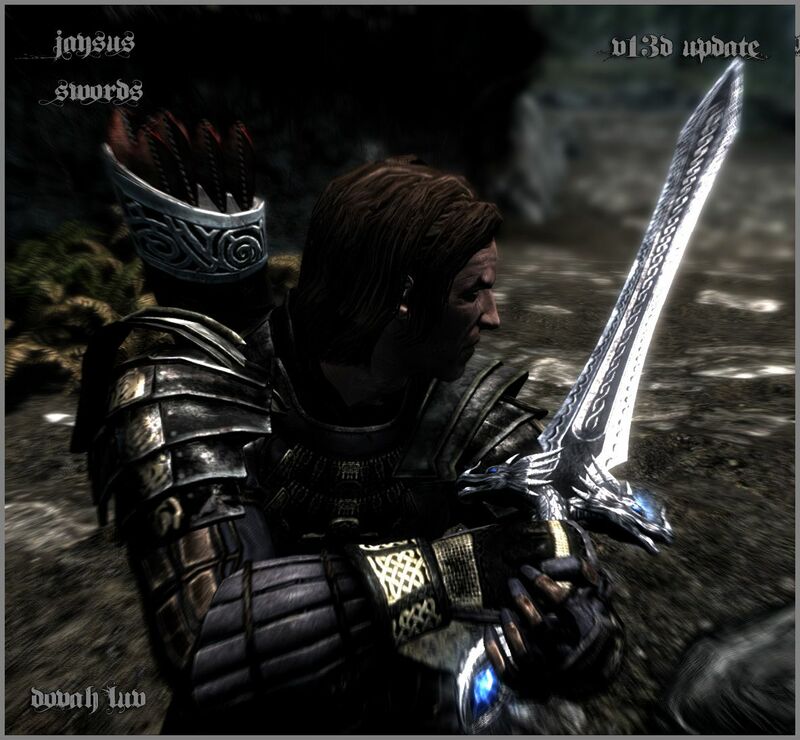 Skyrim Nexus, JZBai. 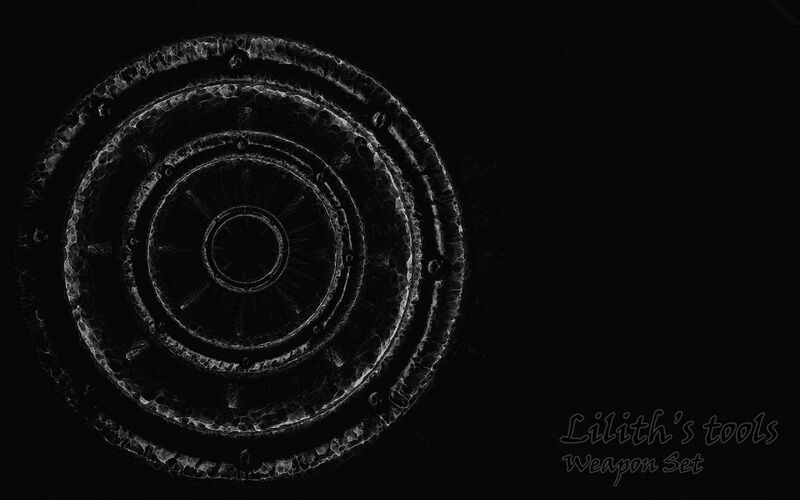 20 Sep 2018. 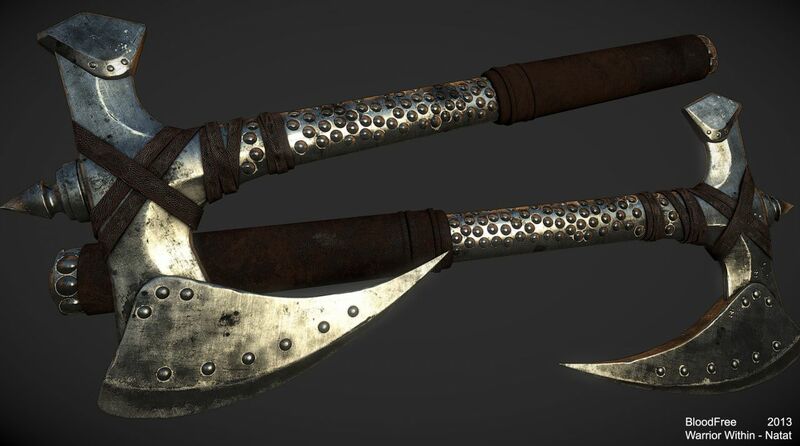 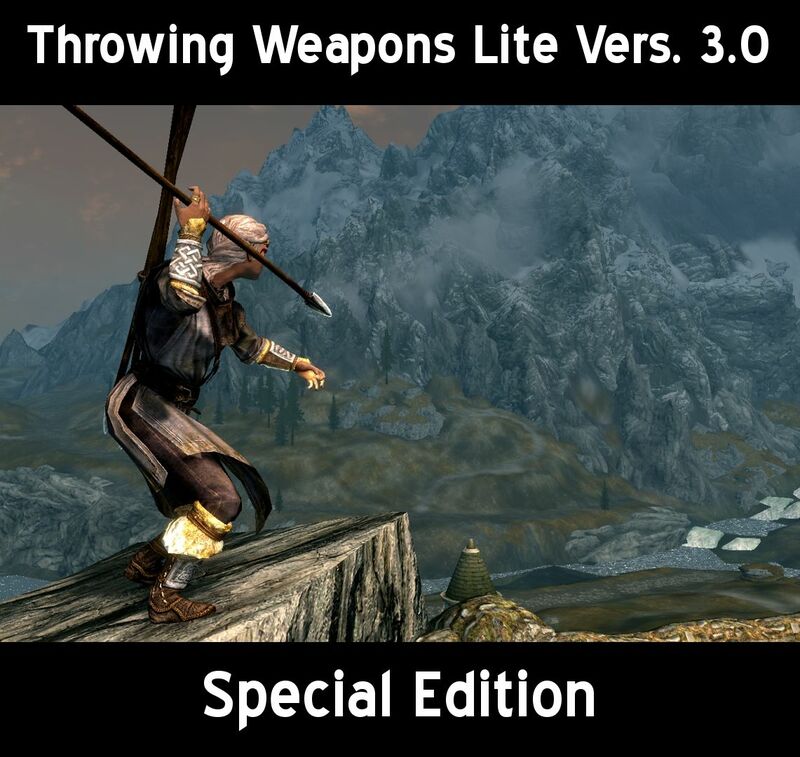 Throwing Weapons Lite. 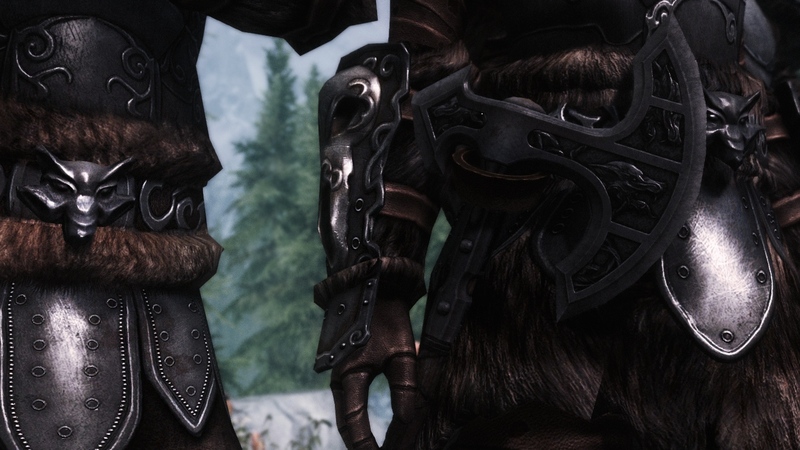 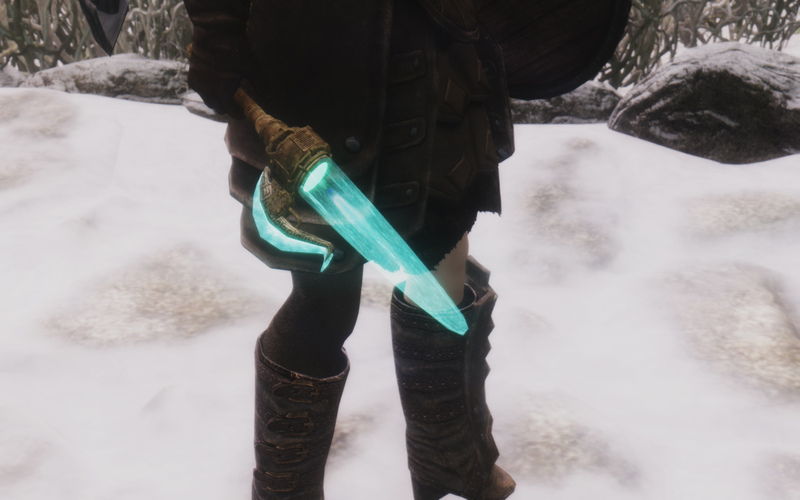 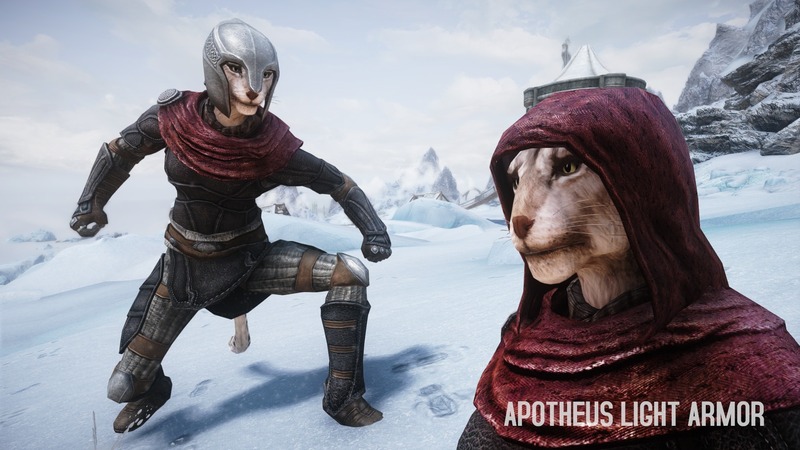 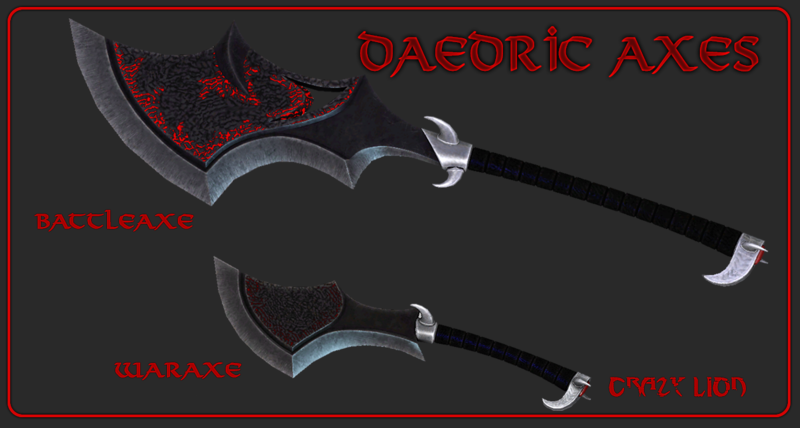 26 Jan 2015 <https://www.nexusmods.com/skyrim/mods/62017>. 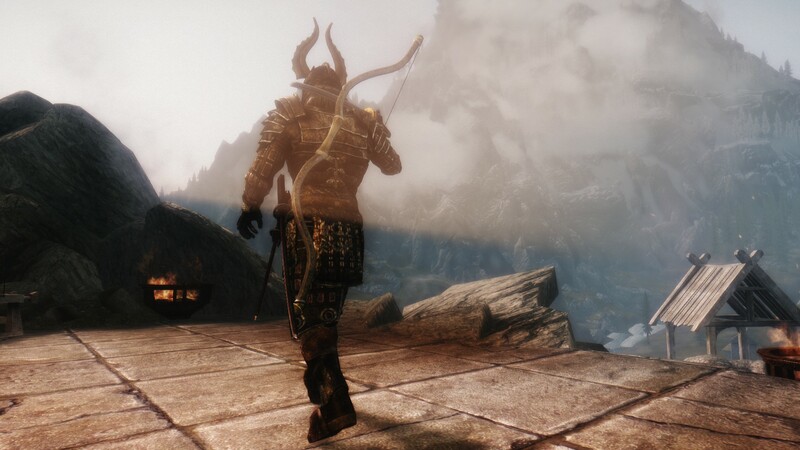 Skyrim Nexus, Nicoroshi. 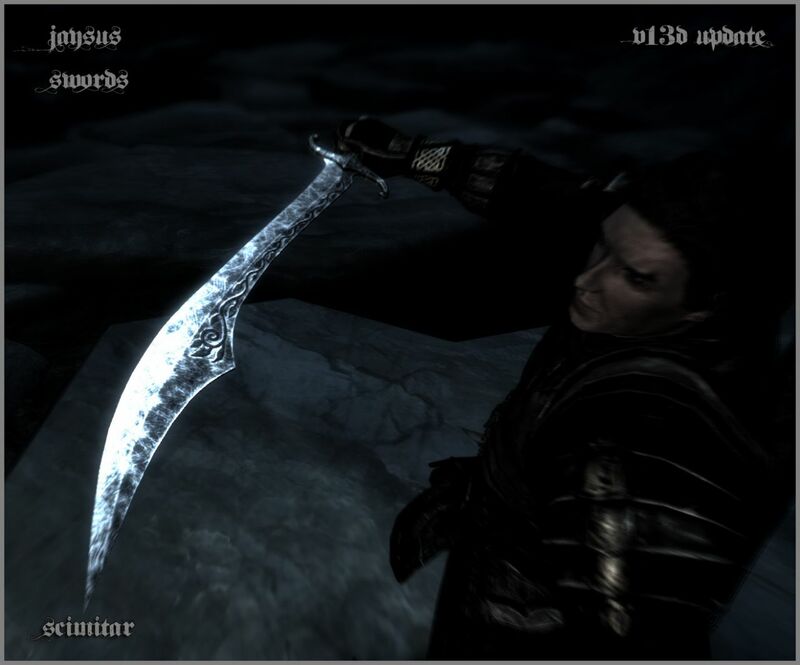 20 Jun 2012. 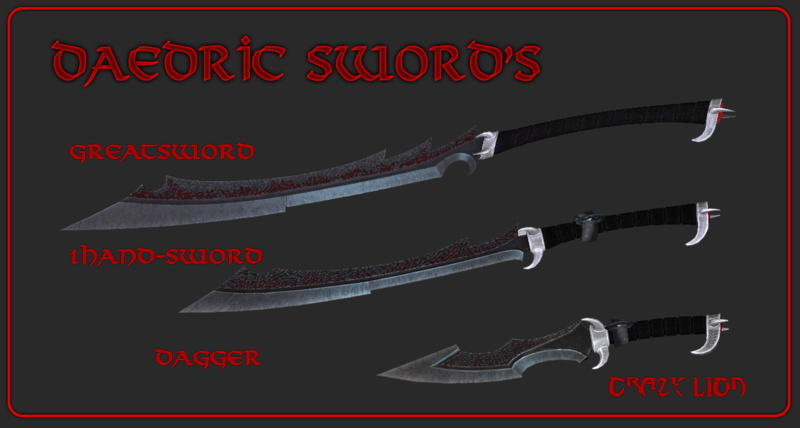 Nicoroshi Creations. 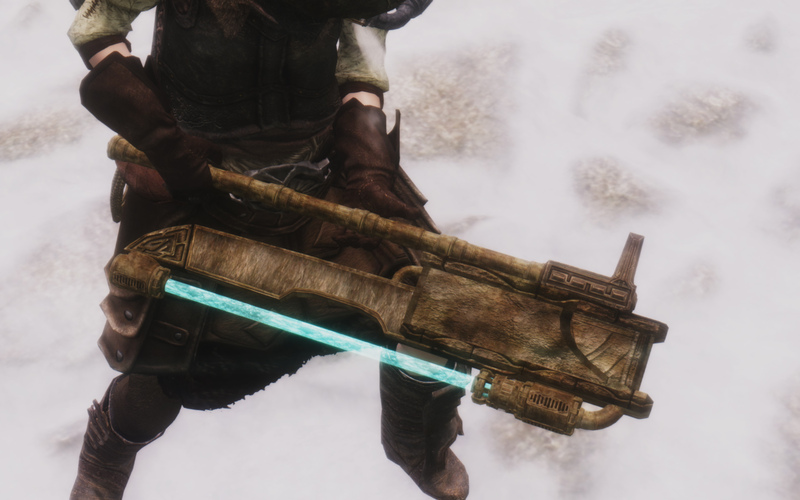 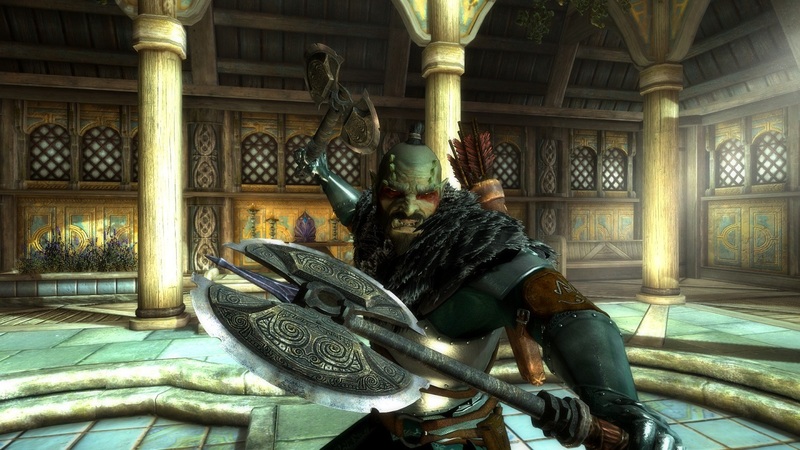 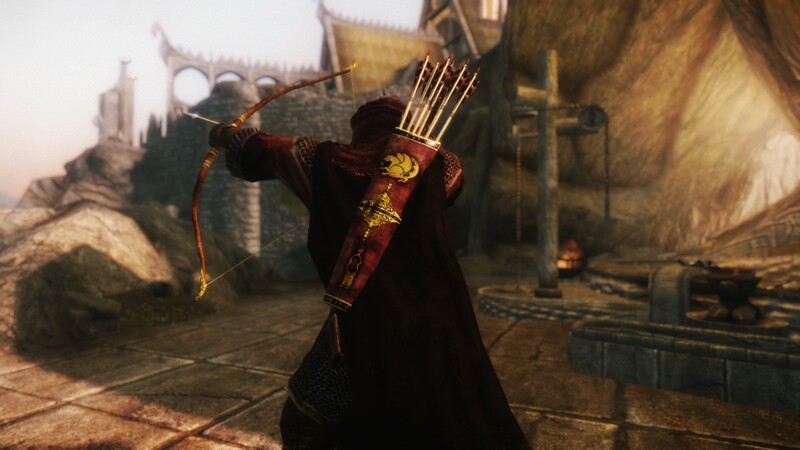 14 Apr 2012 <https://www.nexusmods.com/skyrim/mods/15122>. 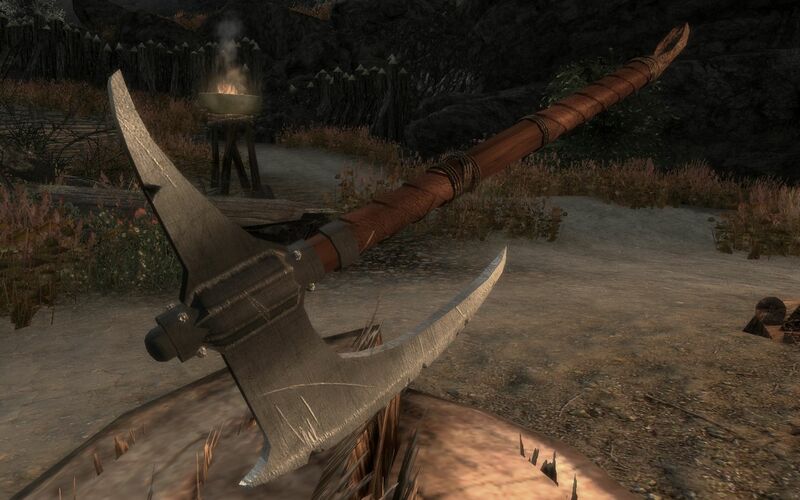 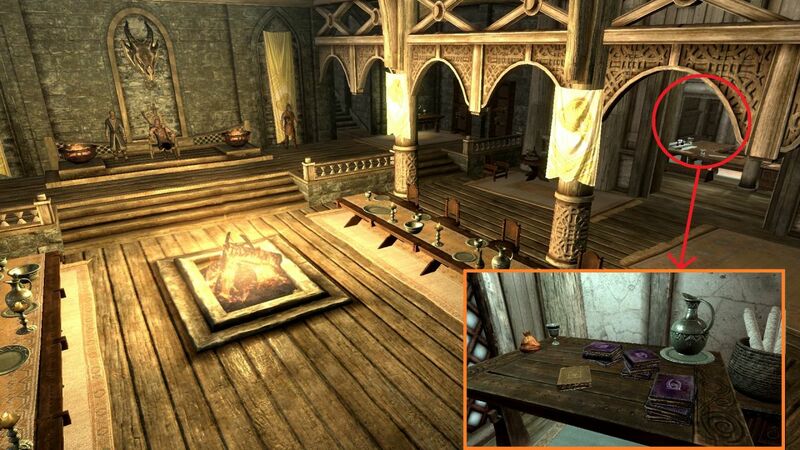 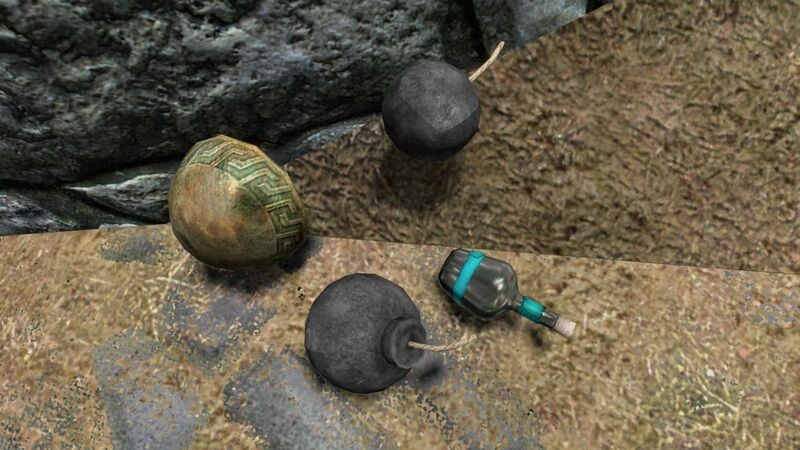 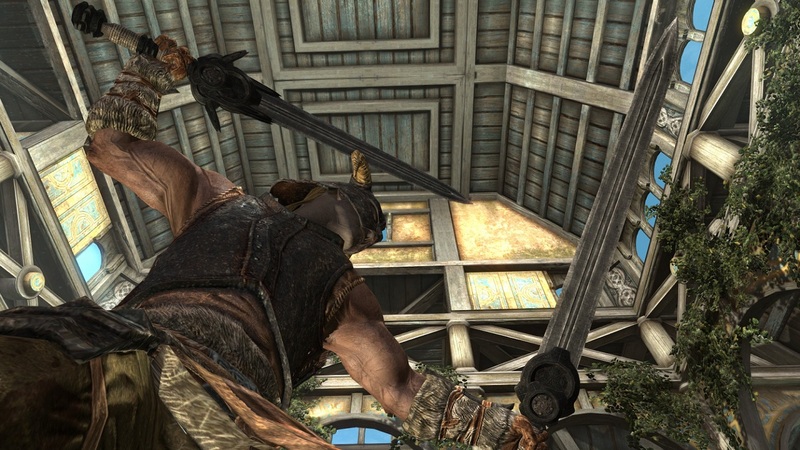 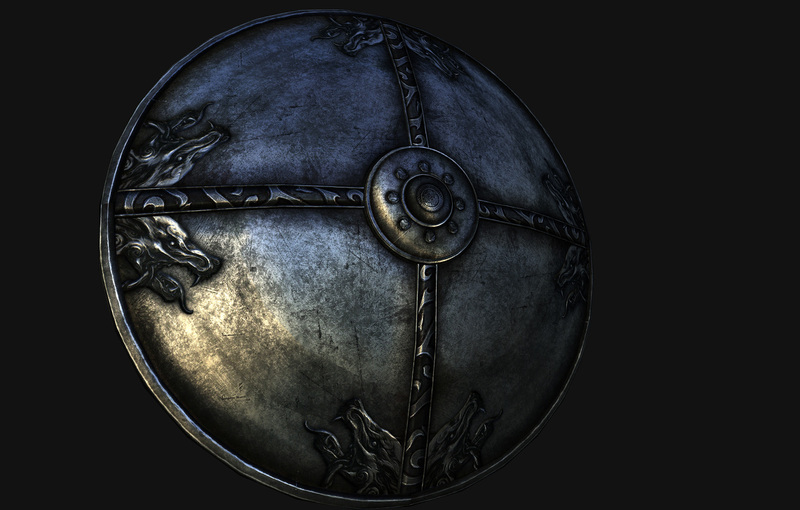 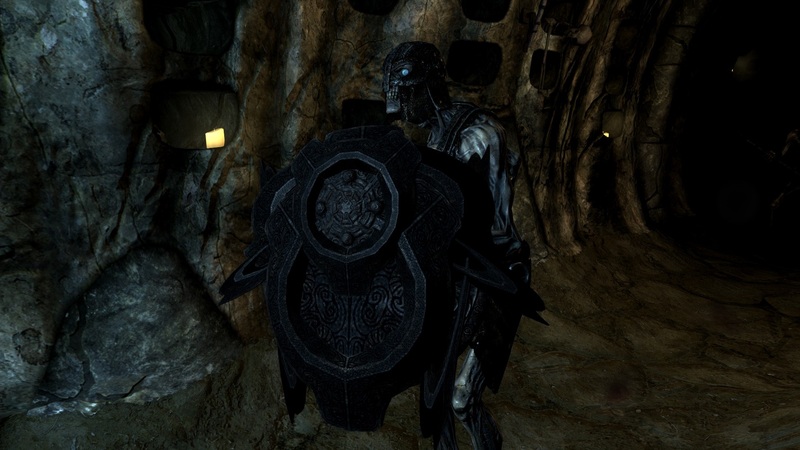 Skyrim Nexus, GRIMELEVEN. 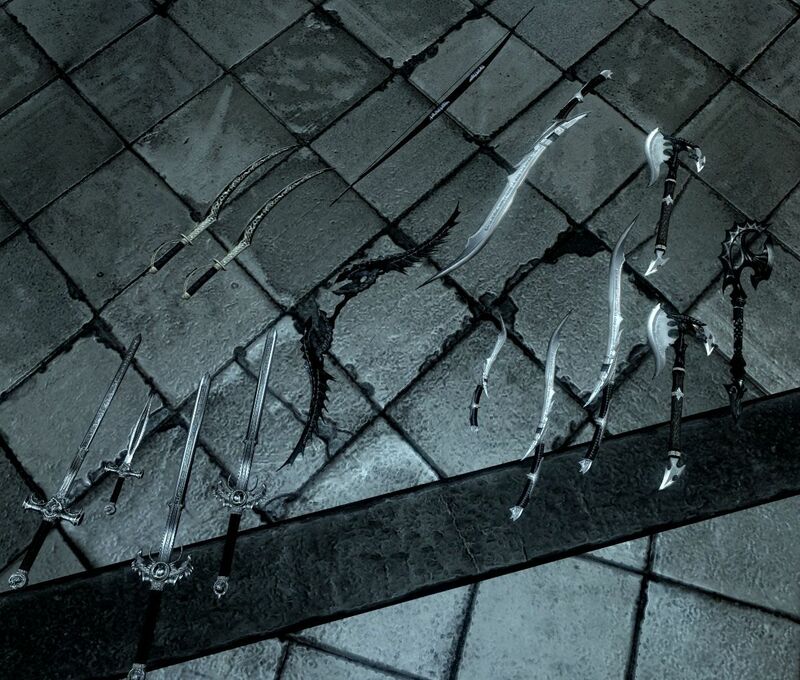 3 Oct 2013. 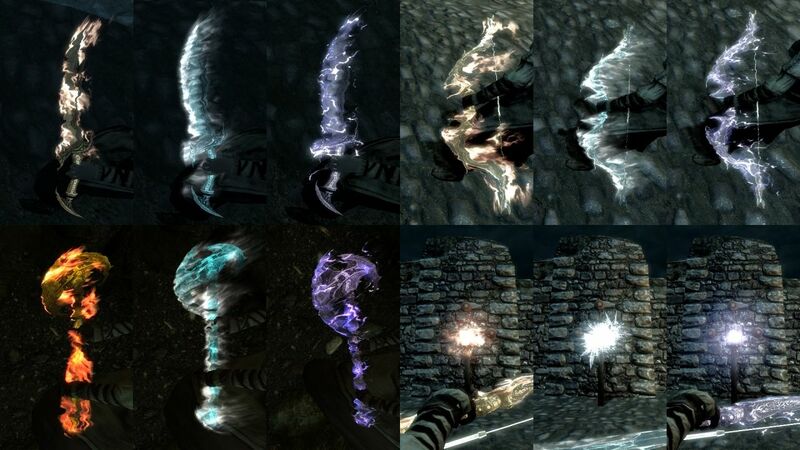 Animated Enchantments Overhaul. 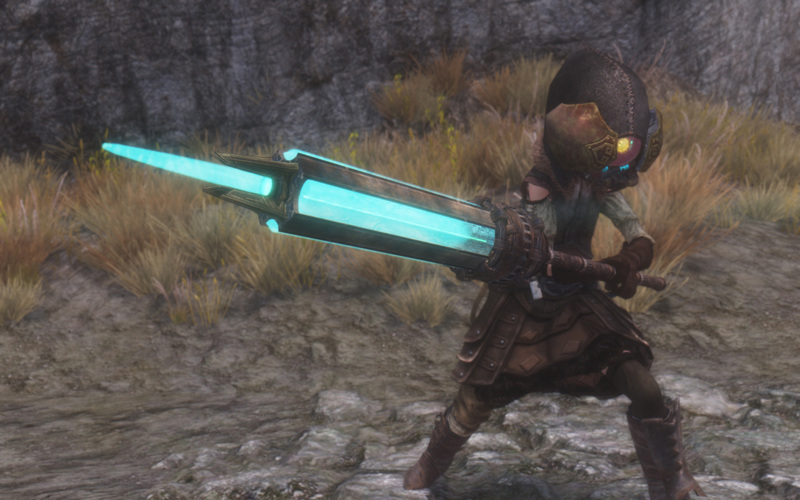 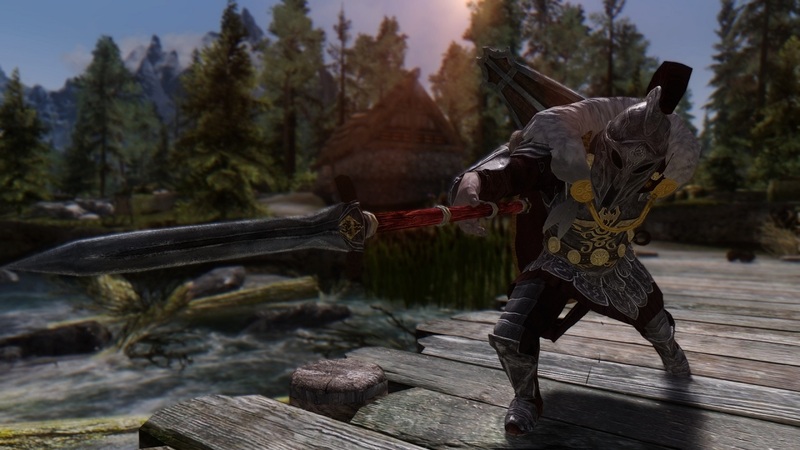 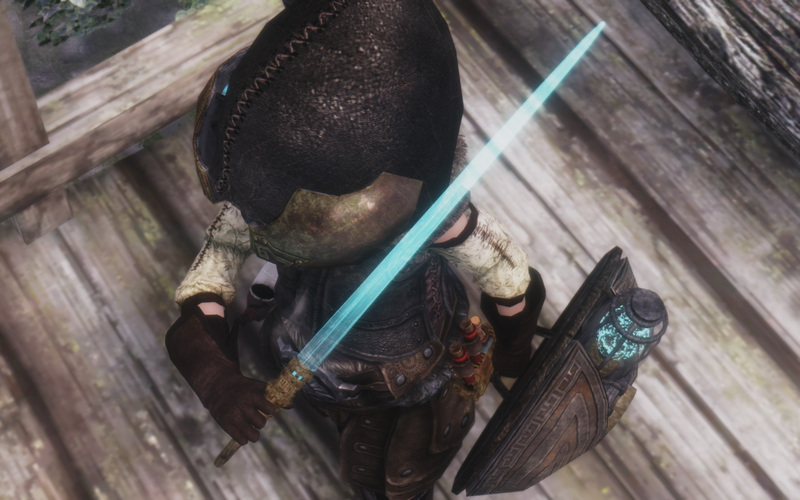 9 Sep 2013 <https://www.nexusmods.com/skyrim/mods/41875>. 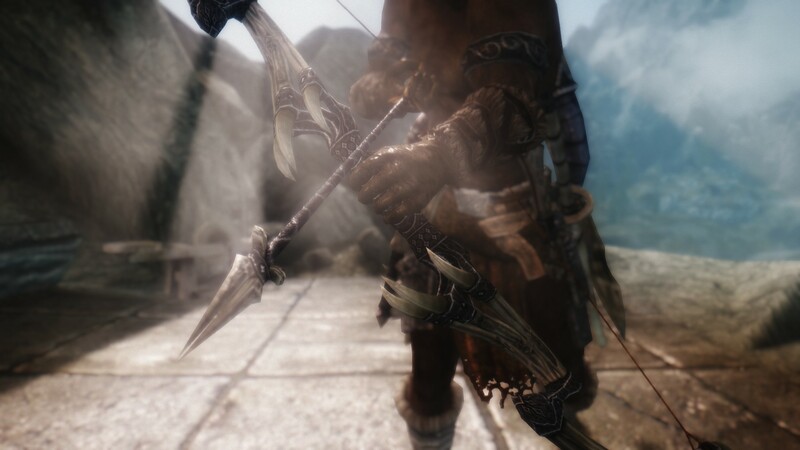 Skyrim Nexus, liny. 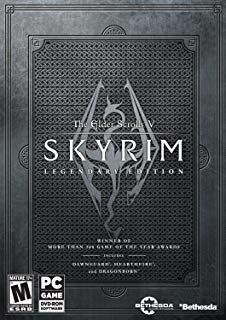 30 Jul 2018. 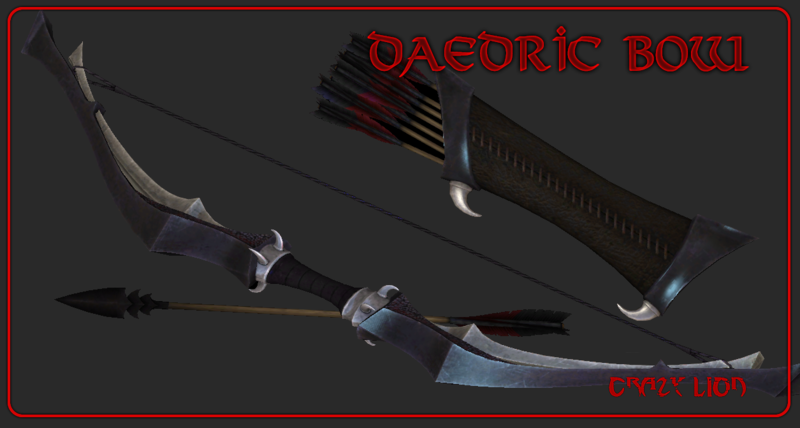 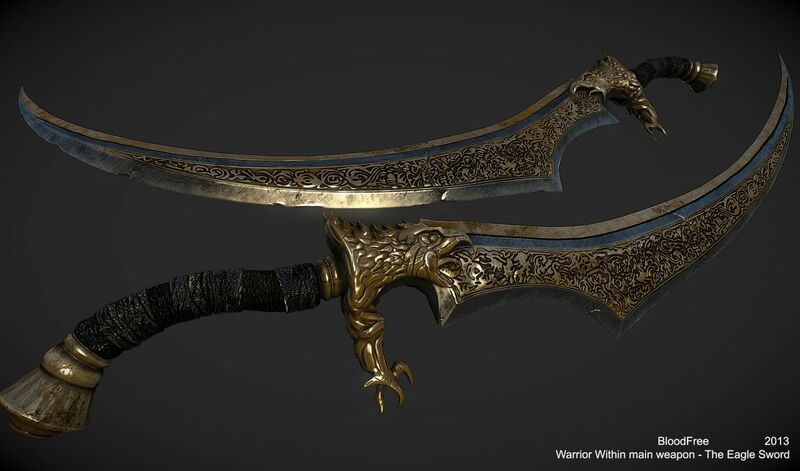 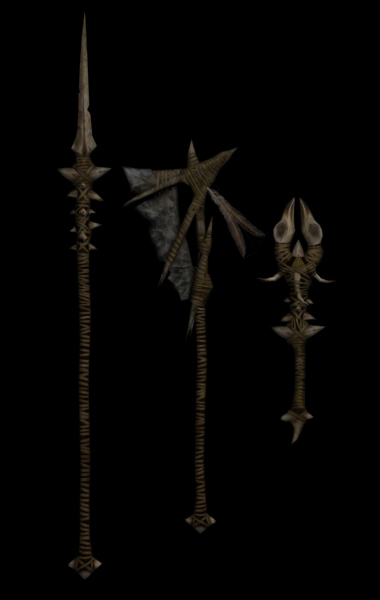 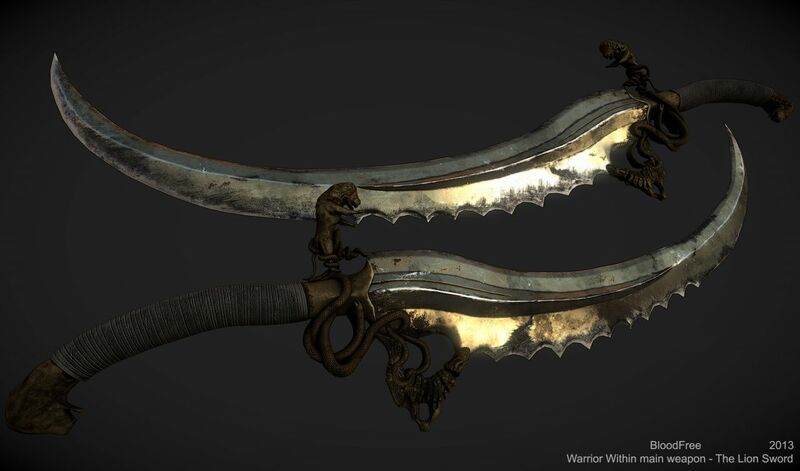 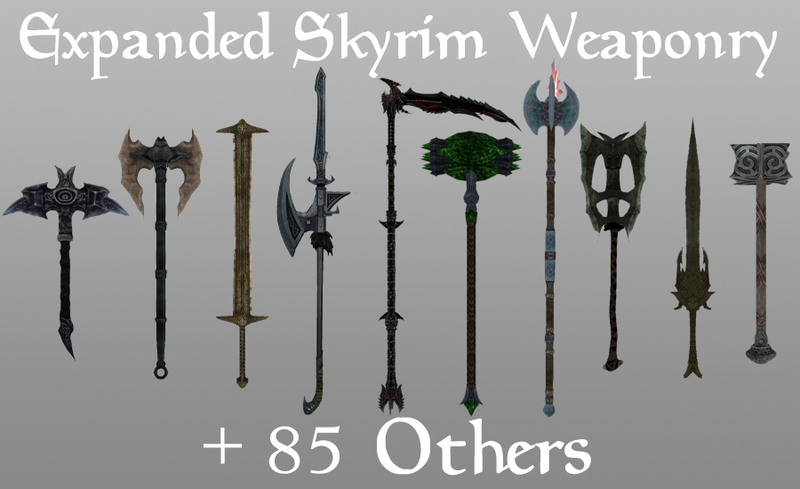 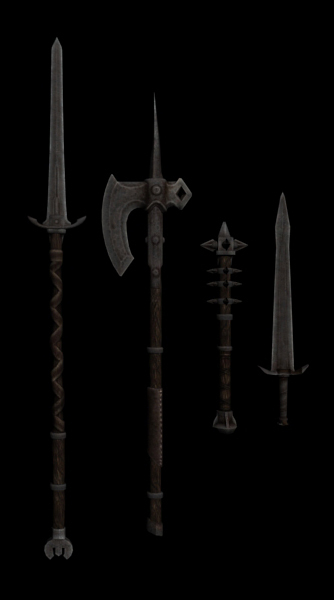 Recolor Bound Weapons. 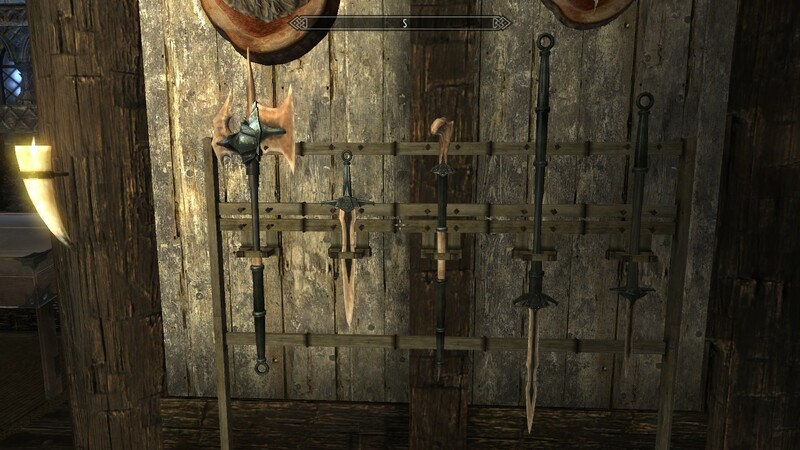 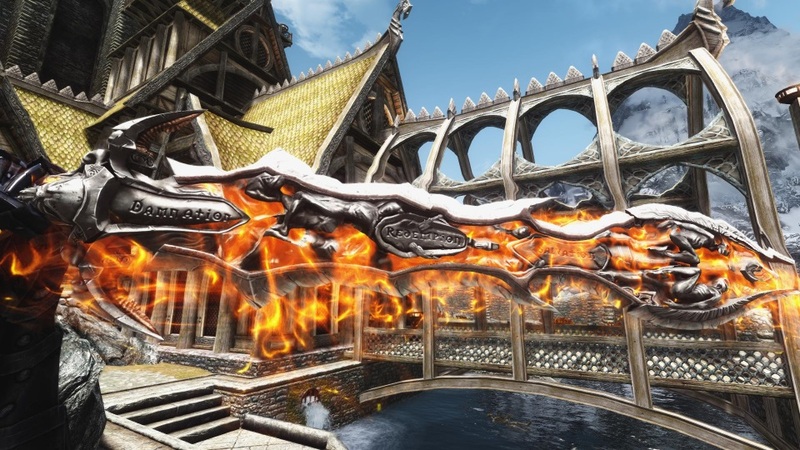 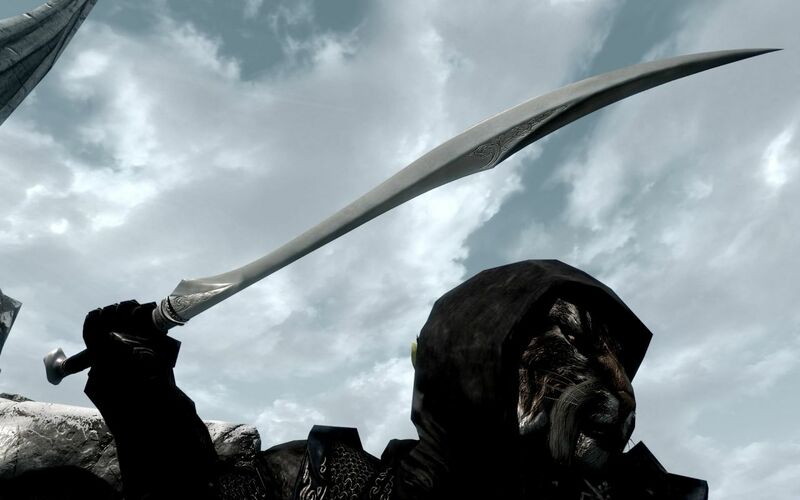 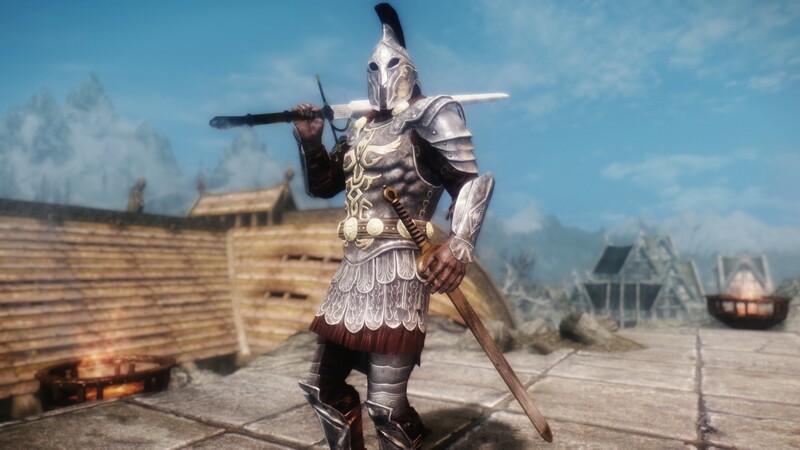 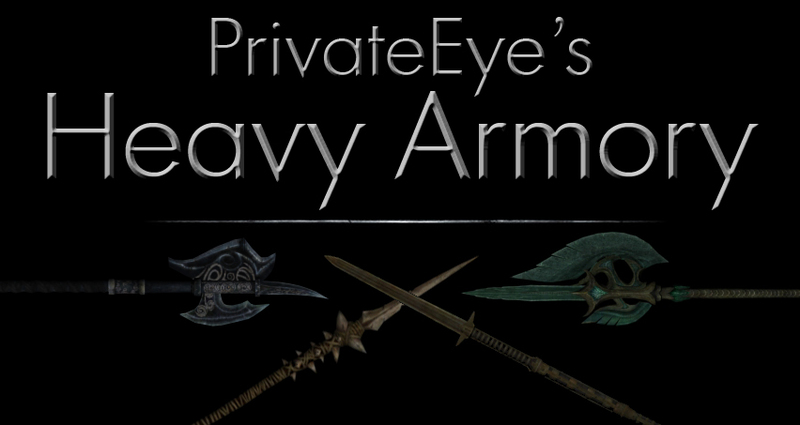 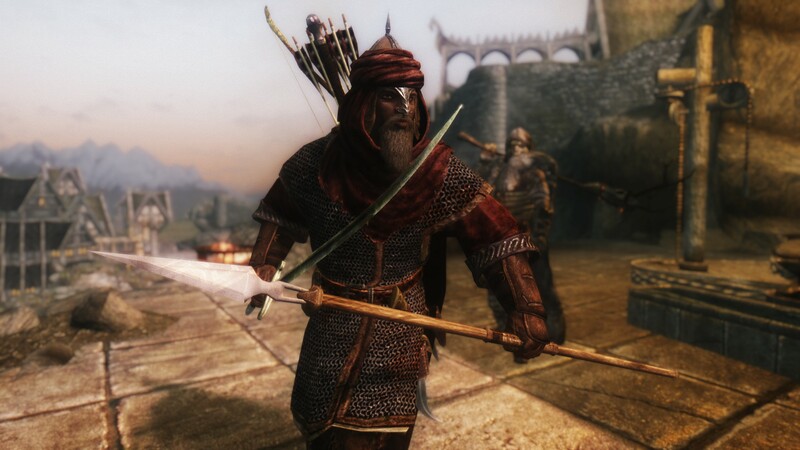 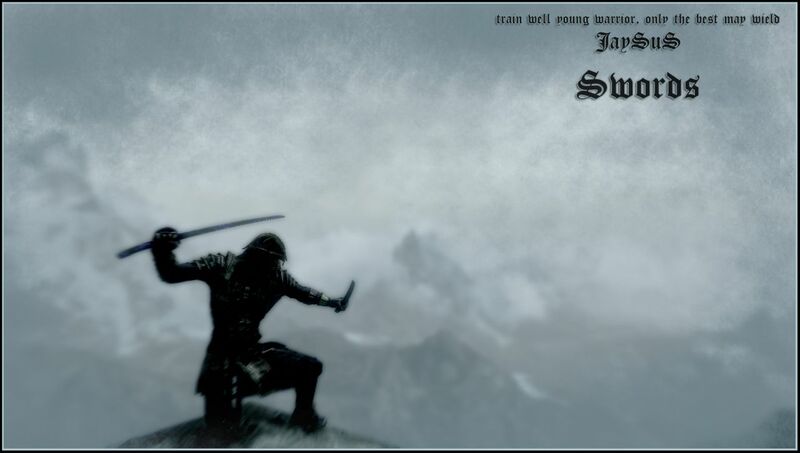 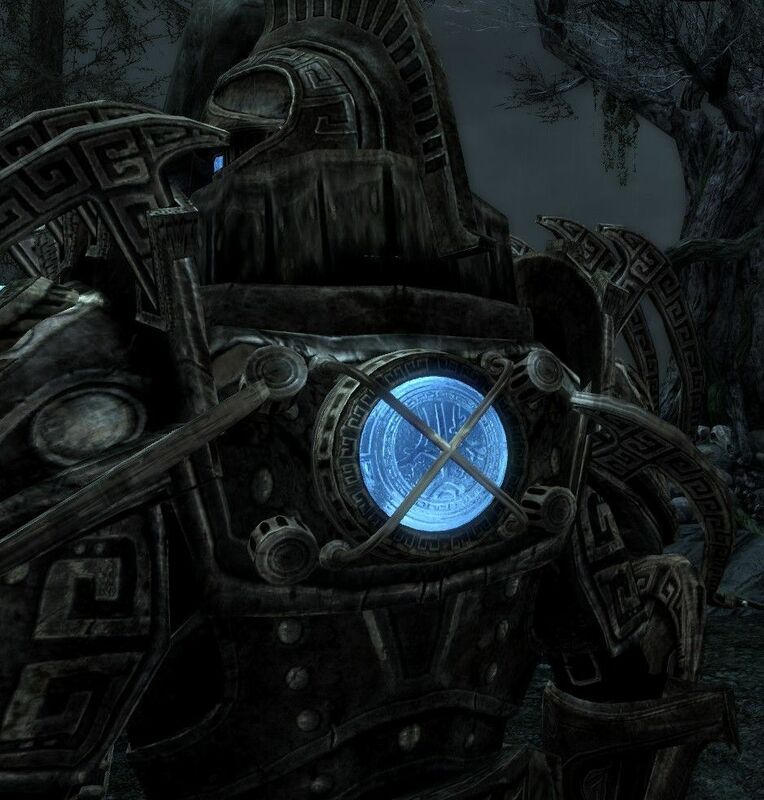 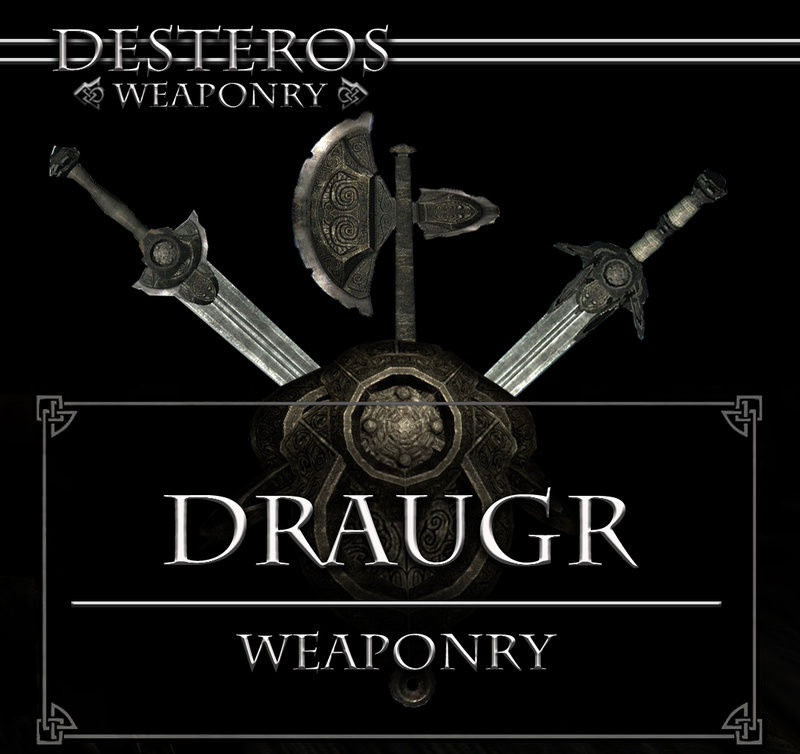 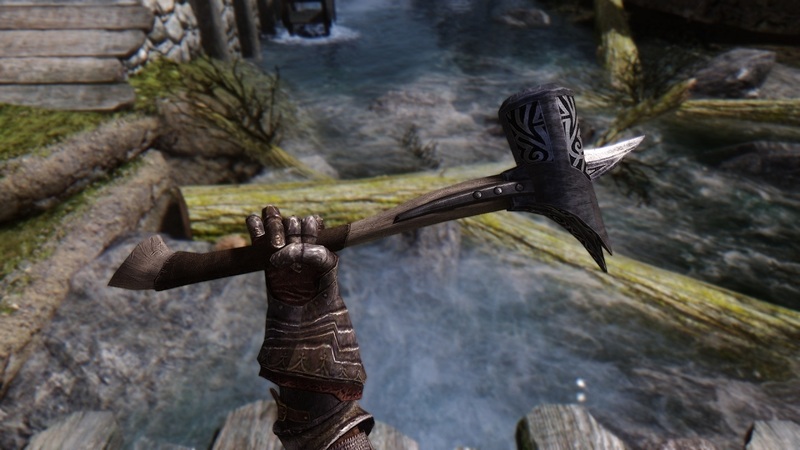 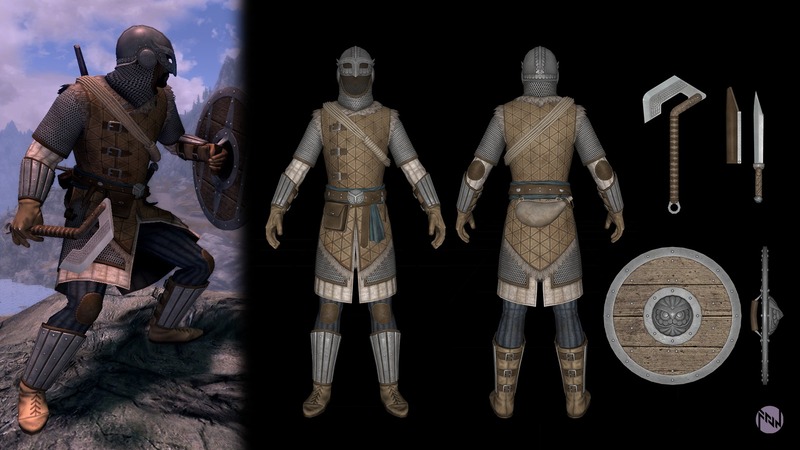 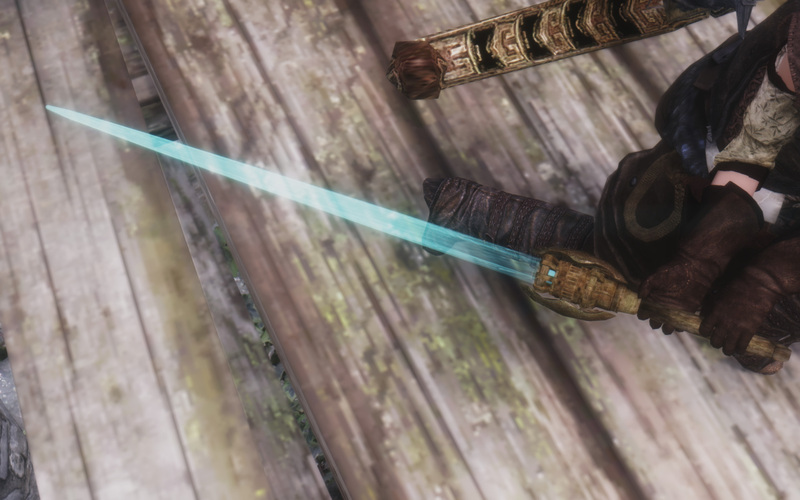 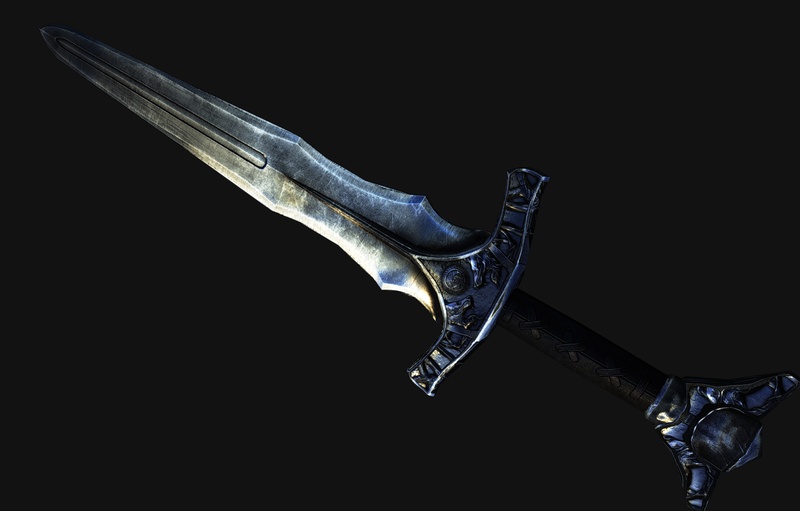 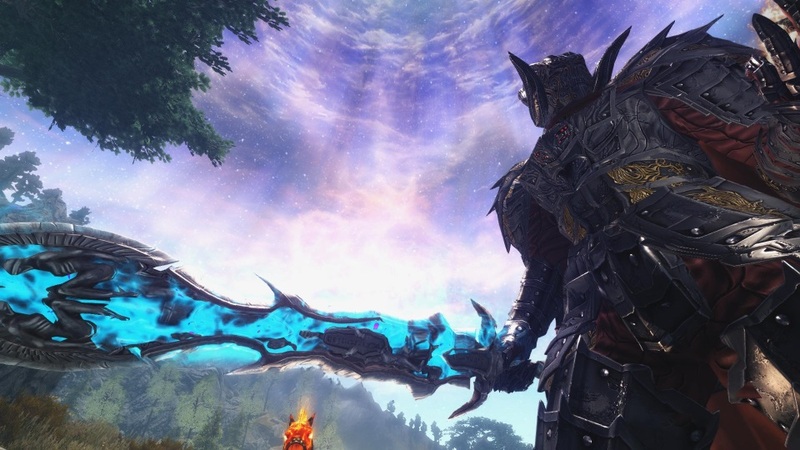 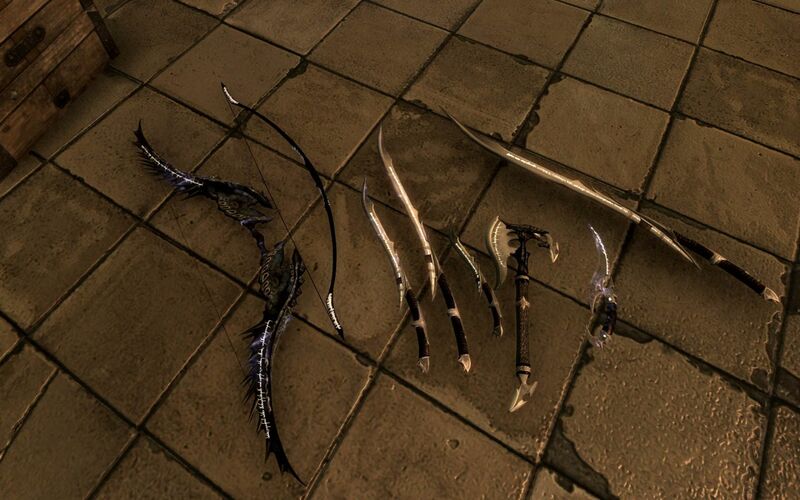 10 Apr 2013 <https://www.nexusmods.com/skyrim/mods/34624>. 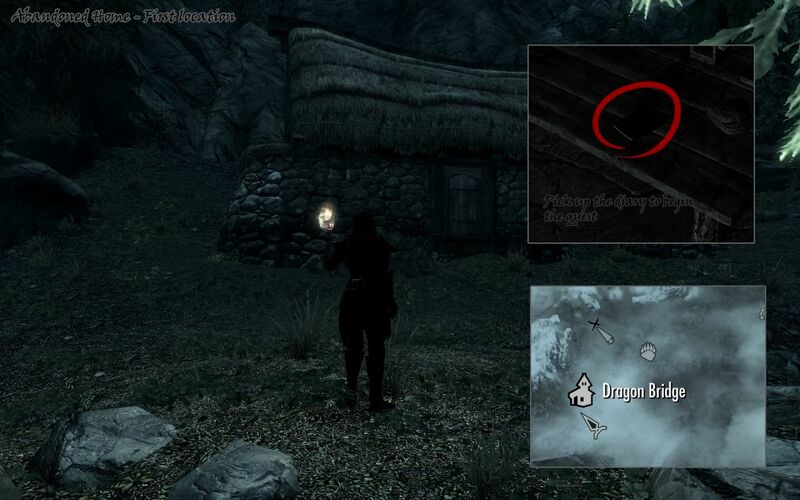 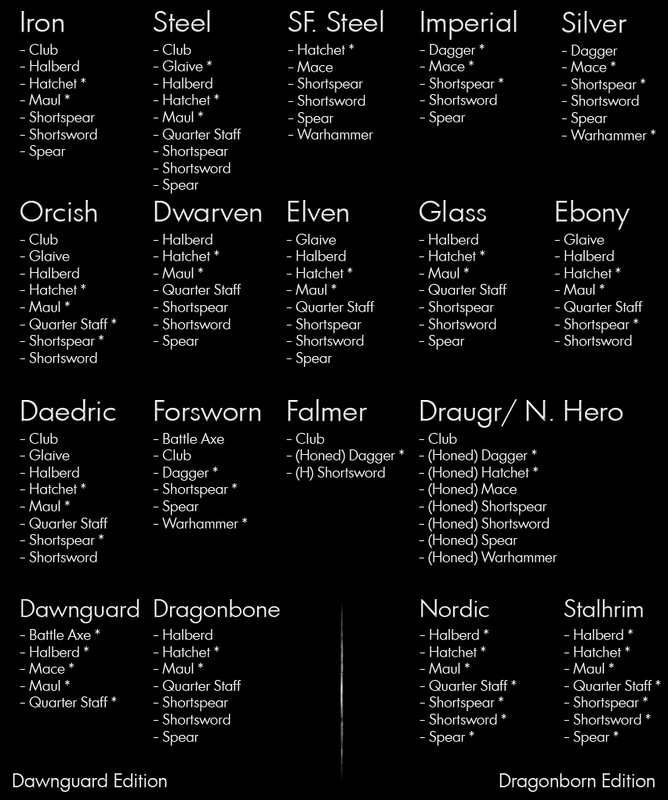 Skyrim Nexus, JaySuS. 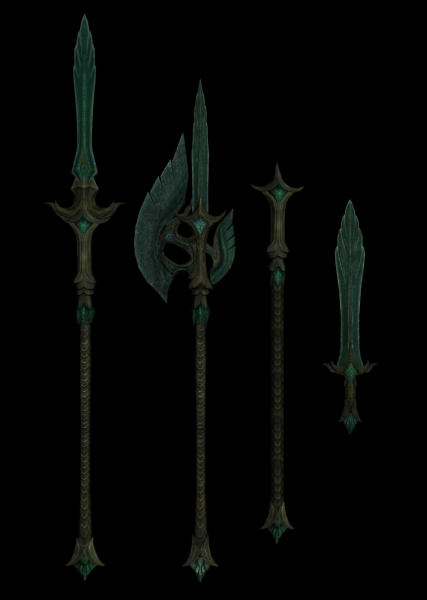 13 May 2012. 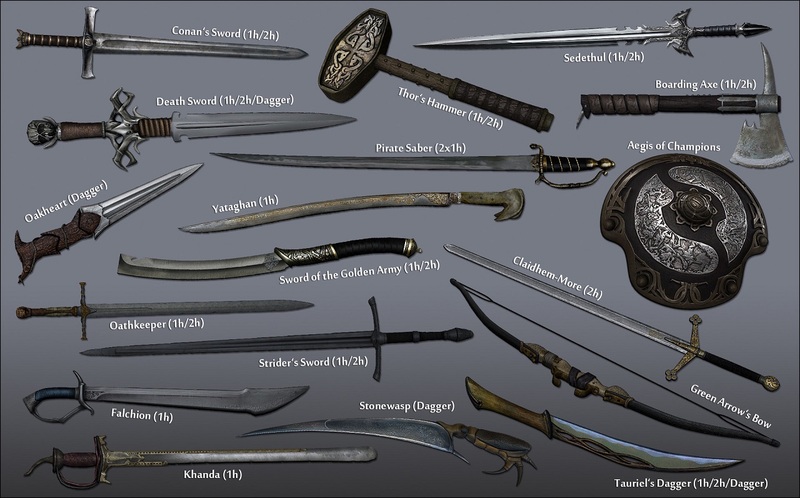 JaySuS Swords. 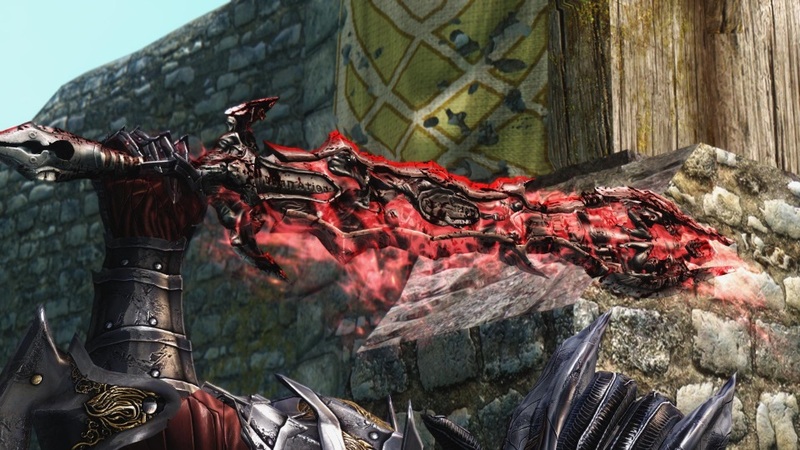 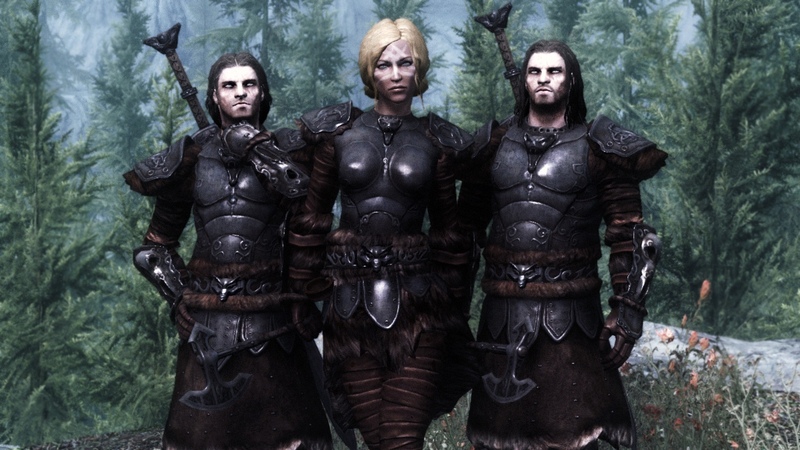 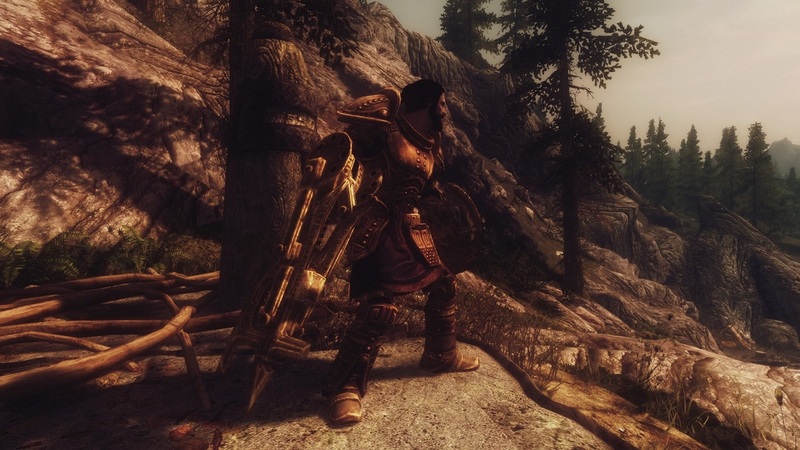 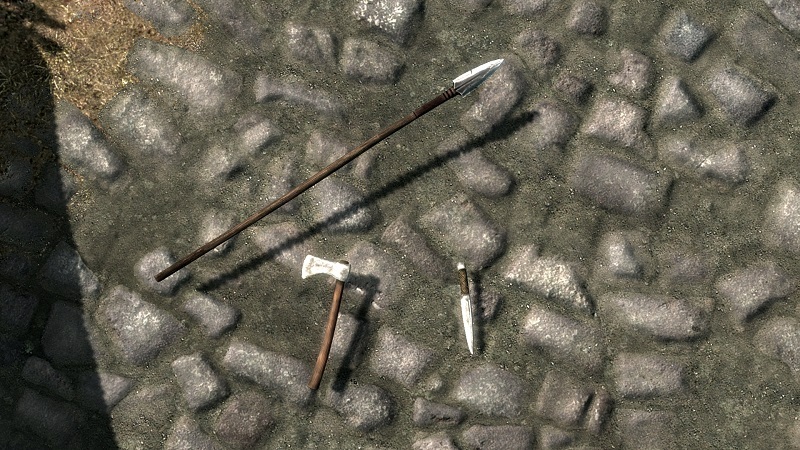 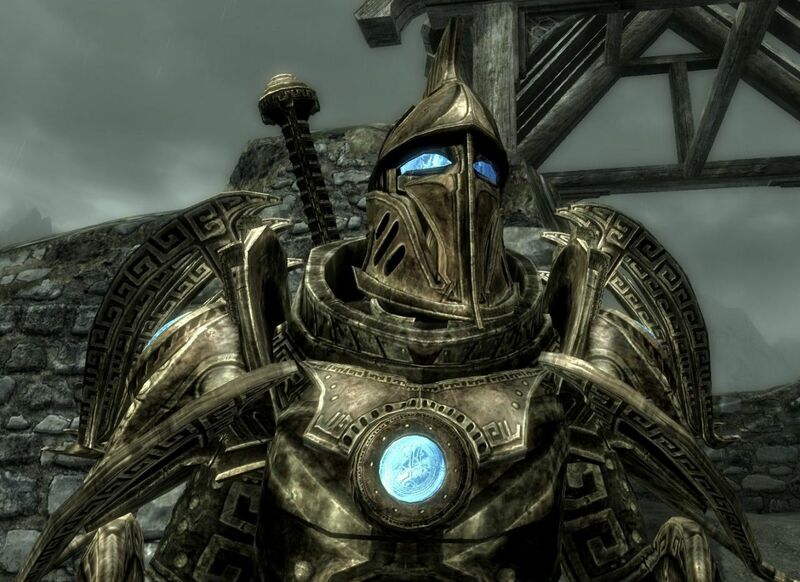 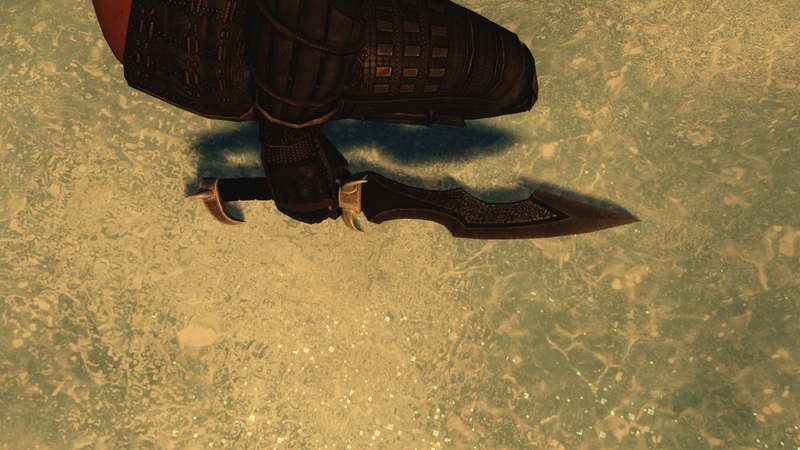 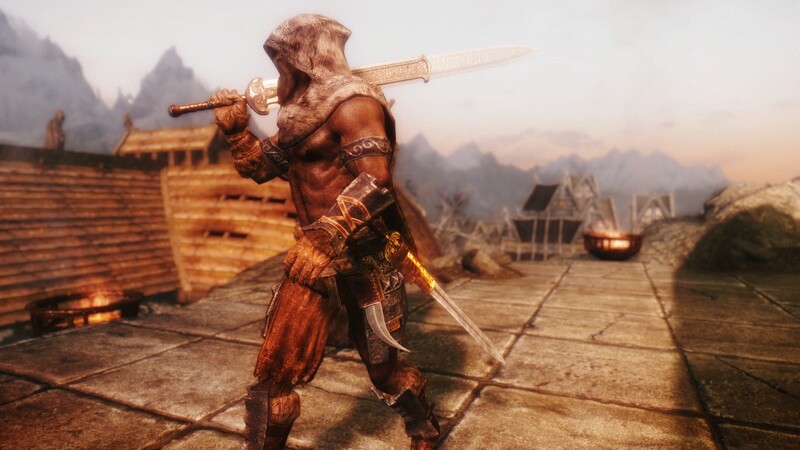 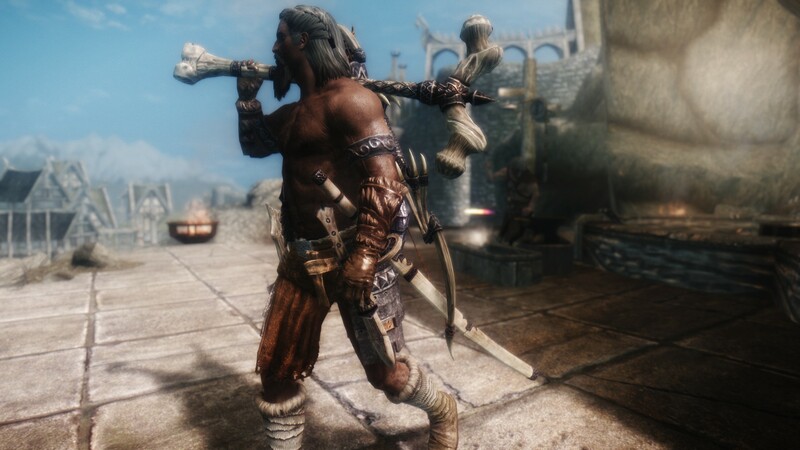 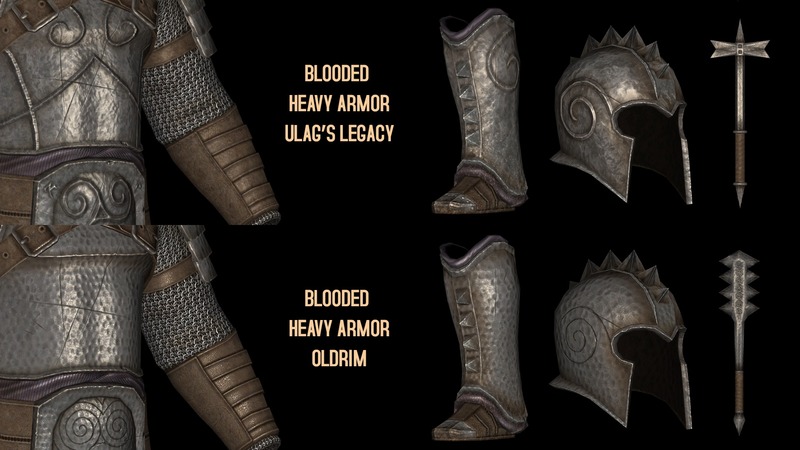 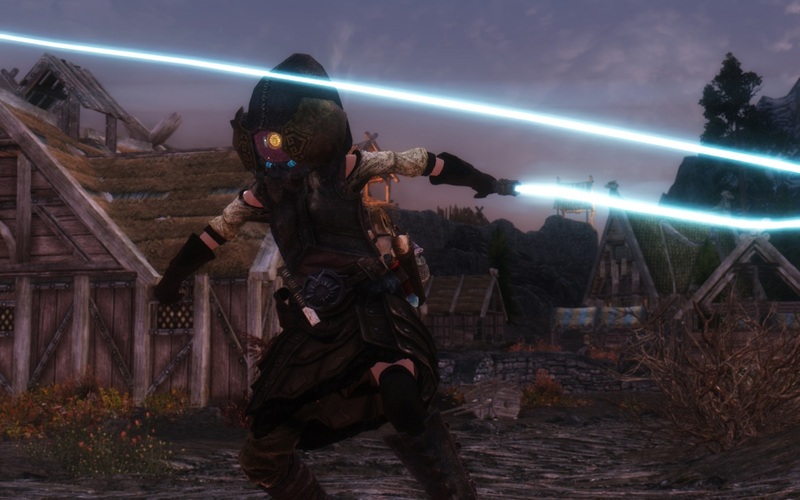 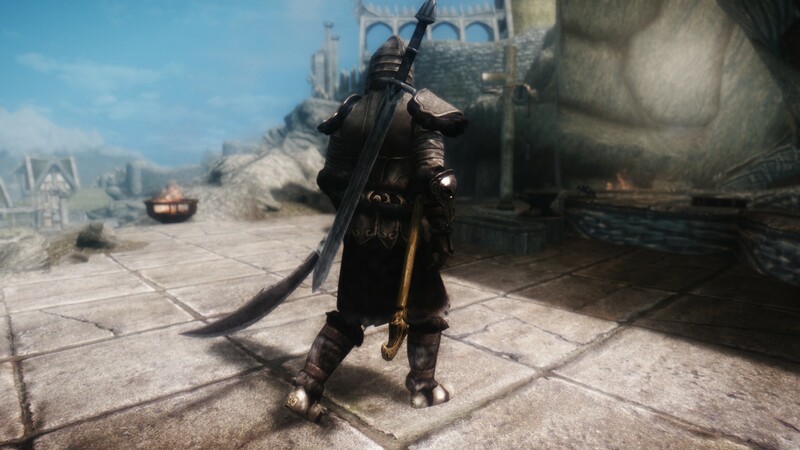 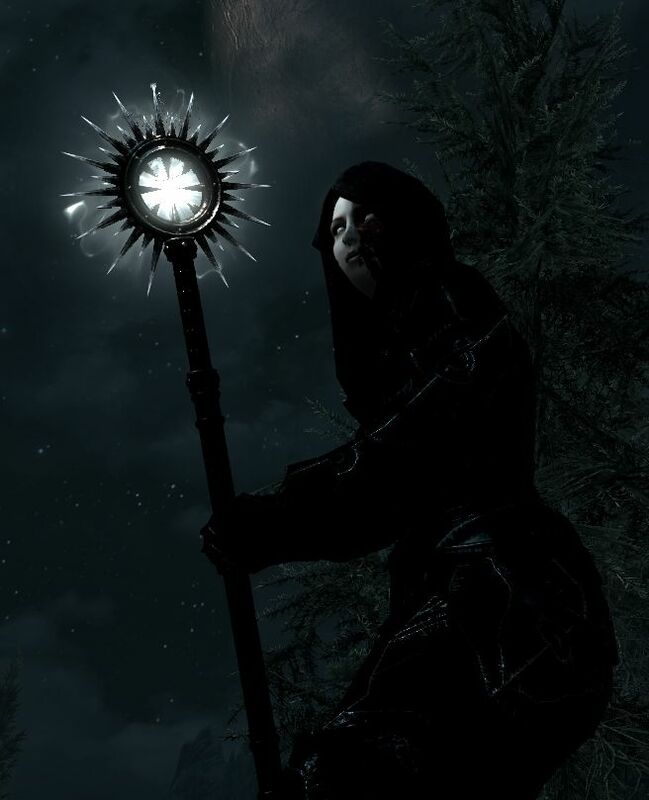 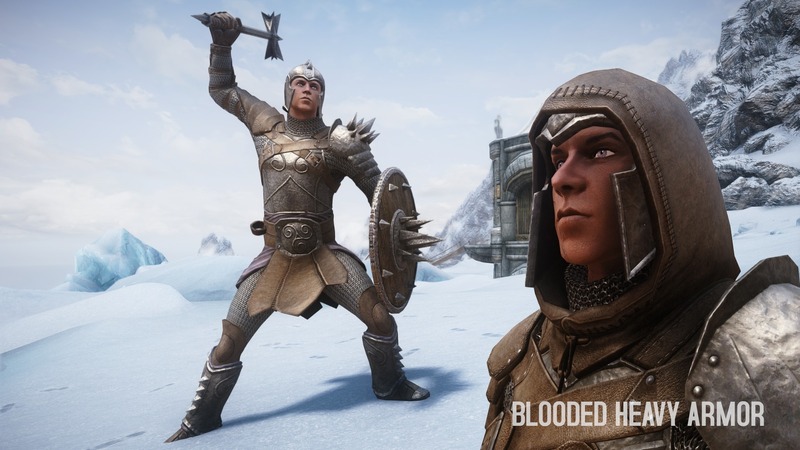 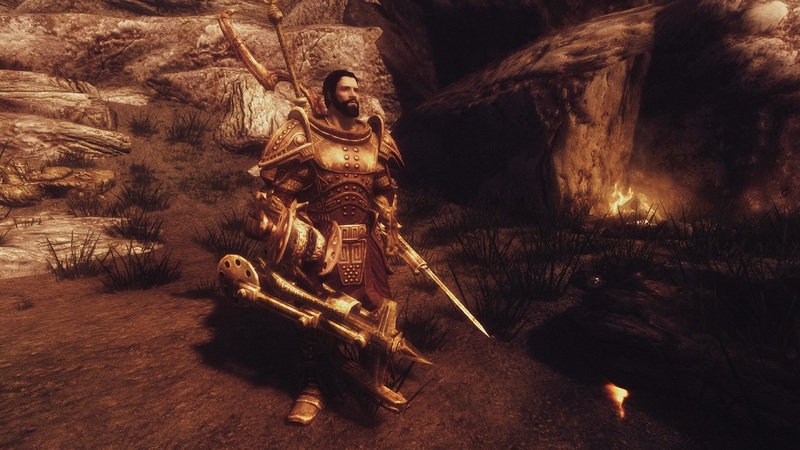 9 Dec 2011 <https://www.nexusmods.com/skyrim/mods/1002>.